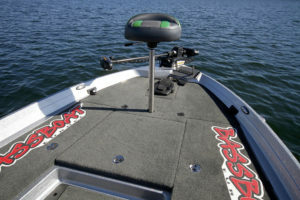 In the bass boat market, Ranger is still a preference. 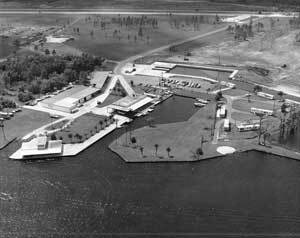 Well made with a good-looking style, the boats hit the lakes and other fishing places. Built in Arkansas, the new Z 175 meets the expectations of fishermen and fast boats lovers alike. Ranger offers 13 models with fiberglass or aluminum hulls ranging in length from 16- 22 ft. 7 in. 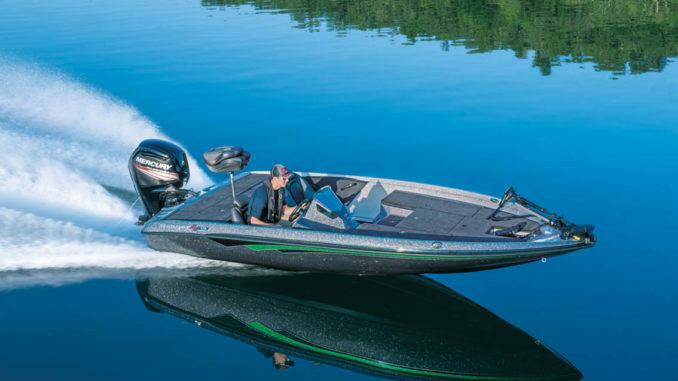 The Ranger Z 175 is at the heart of this family and for this test, the opportunity was offered to test two boats, one equipped with a Mercury 115 Pro XS and the other with a Yamaha F115. 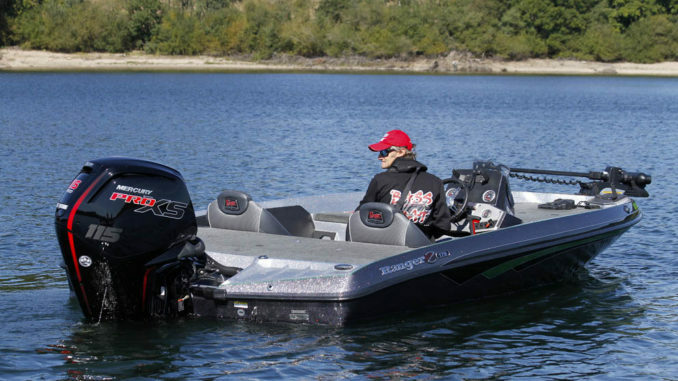 Concerning the look, the Ranger Z 175 has a typical bass boat style with a tournament-inspired design. 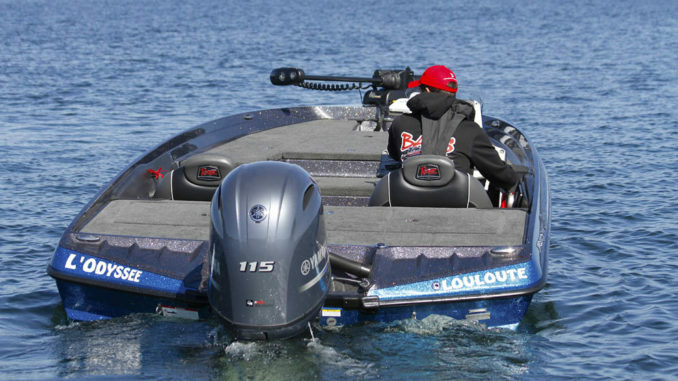 Low on the water with a very sharp front, the Z 175 seems pretty sporty. On this 17 ft. 6 in. boat, the outboard engine seems almost bigger than what it is but the boat was really designed for 115 horses. Of course, you can customize your boat with a large choice of colors and accessories. Pretty wide, the boat offers almost the same habitability as bigger boats and, of course, its stability is also a real advantage. 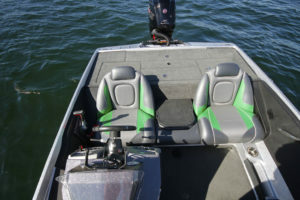 Like all the Ranger boats, the manufacturing is excellent and the finish is really high level with well-made carpet, solid handles and robust hardware. The Z 175 has a lot of storage and each compartment has its own use. 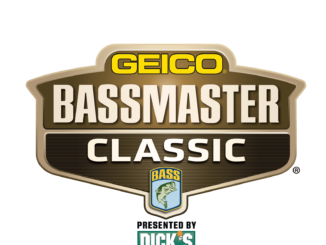 One can be used to store the fishing rod, one is dedicated to the lures, one to keep the catches and there are also one cooler on the front and one livewell on the rear. Everywhere, the expertise of the shipyard is shown as evidence and many details will seduce the fishermen. There are, for example, these straps in different locations on the deck to quickly attach the rods or the ruler to measure the size of the catches. The electric engine is installed at the front, on the large platform (5 ft. 24 in. by 4 ft. 92 in.). It can be maneuvered with the foot pedal to manage speed and direction. You can also use a remote which allows you to maneuver from any place on board. 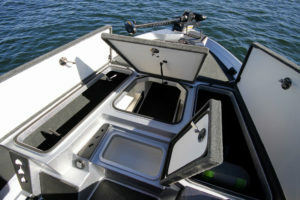 With one or two people in the front, the Ranger Z 175 is still stable and allows people to move around easily on board. At the rear, the cockpit is deep enough (24 in. ), but mainly occupied by the console on starboard. In this place there are also two really comfortable armchairs and a small central seat above the fuel tank, whose backrest can be folded to facilitate the access to the rear platform. This platform is really large (88 in. x 35 in.) compared to the size of the boat so it’s easy to stand up, offering a perfect place for a fisherman. Under the platform, there are two fish boxes, a livewell and, a technical chest with the batteries. Finally, you can install a standard fold down seat post on the front and on the rear. Relatively light, the Ranger Z 175 doesn’t need very much power to be pleasant. 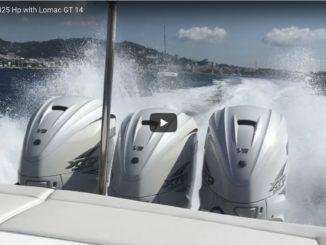 With 115 hp, the boat is fast enough. Fun to drive, it behaves safely, thanks to the width. Well leaned on the rear part of the hull, the boat is very stable in navigation as well when it is stopped. With 115 hp, well below the 150 hp max, the Ranger reaches 43 mph. It’s enough to get to a good fishing spot. Another good thing about this boat is the driving position. Well installed in the comfortable chair, the pilot can enjoy a hot foot throttle (optional) which is very useful. 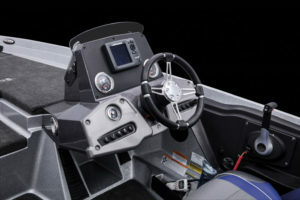 The small windshield is efficient and the dashboard is really complete with the switches on the bottom, the gauges in the middle and enough room for a seven-inch fish finder or GPS (another one can be installed on the front too). Very stable, the boat is also easy to drive with very sane behavior, a good balance and accurate steering. The curves come one after another at high speed while the boat remains quite flat. If you are really looking for more speed, you can obviously opt for 150 hp but honestly this is not going to bring you much more than a faster top speed. Really well made, the Ranger Z 175 offers a very clever layout with lots of room and storage and also a finish that is beyond reproach. The behavior is also persuasive and there are a lot of possibilities for customizing your boat. The 7175 is easy to tow and finally, the price is still reasonable.